Weymouthia cochlearifolia, photographed by Juan Larraín. 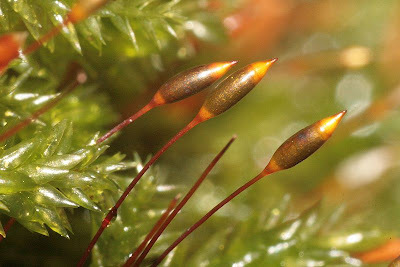 The Lembophyllaceae are a family of mosses found most abundantly in the Australasian region, though species are also found in other parts of the world such as Asia and South America. Most members of the family are epiphytic (growing on trees) or epilithic (growing on rocks). The composition of the family has varied significantly over the years, and as currently circumscribed the various Lembophyllaceae lack any reliable shared morphological characters and are united on the basis of molecular data (Olsson et al. 2009). Lembophyllaceae usually have concave leaves, loosely appressed to terete shoots, that lack a clearly differentiated leaf margin (Olsson et al. 2009). Capsules of Isothecium alopecuroides, photographed by Hermann Schachner. 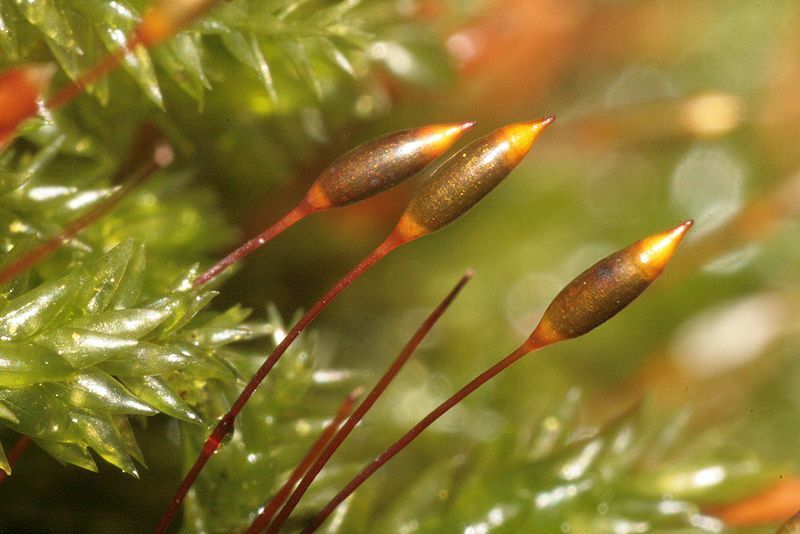 In the broader context, Lembophyllaceae are placed among the pleurocarpous mosses of the order Hypnales ('pleurocarpous' means that the reproductive structures are produced on small side branches rather than at the top of the main stalk), probably as the sister group to the bulk of the Neckeraceae (Olsson et al. 2009). Merget & Wolf (2010) reported finding Lembophyllaceae as polyphyletic but a closer look at the supplementary figures shows that only two of their four clades ('Lembophyllaceae III' and 'IV') actually correspond to the current concept of the family established by Quandt et al. (2009); the remainder represent genera removed to other families. More to the point, Merget & Wolf were using that most wretched of molecular methods, neighbour joining, and despite their use of a large number of source taxa it is difficult to accord their results much significance. 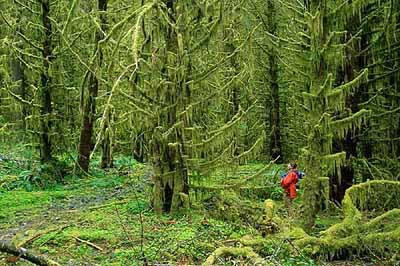 Spruce trees with a covering of Isothecium myosuroides in Olympic Natural Park, USA. Photo from here. One genus of Lembophyllaceae, Weymouthia, contains two species found in Australia, New Zealand and South America. Such disjunct distributions have been the subject of much debate in moss biogeography. Some authors attribute them to a Gondwanan ancestry, indicating that the modern species must have arisen prior to the separation of these landmasses through continental drift. Others would see them as the result of post-separation dispersal. Supporters of the former explanation point to the supposed inability of moss spores to survive extended environmental exposure, and the correlation of numbers of shared species with age of geological separation rather than current distance (Blöcher & Frahm 2002; e.g. South America shares more species with New Zealand than southern Africa, despite being closer geographically to the former). Supporters of the latter point to the low levels of morphological and molecular differentiation between individuals from disjunct populations. Blöcher, R., & J.-P. Frahm. 2002. 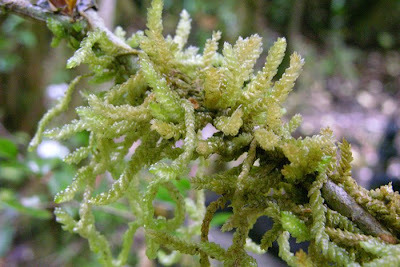 A comparison of the moss floras of Chile and New Zealand. Tropical Bryology 21: 81-92. Merget, B., & M. Wolf. 2010. A molecular phylogeny of Hypnales (Bryophyta) inferred from ITS2 sequence-structure data. BMC Research Notes 3: 320. Olsson, S., V. Buchbender, J. Enroth, S. Huttunen, L. Hedenäs & D. Quandt. 2009. Evolution of the Neckeraceae (Bryophyta): resolving the backbone phylogeny. Systematics and Biodiversity 7 (4): 419-432. Quandt, D., S. Huttunen, R. Tangney & M. Stech. 2009. Back to the future? Molecules take us back to the 1925 classification of the Lembophyllaceae (Bryopsida). Systematic Botany 34 (3): 443-454. I really enjoyed reading your blog post. 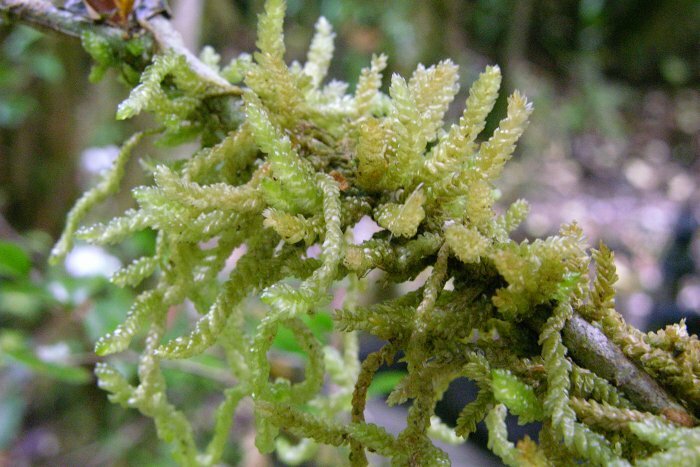 The discussion/debate about vicariance vs dispersal in bryophytes is one we often have in the lab. Another paper that adds to this discussion and that often comes up is Munoz et al. 2004 (http://www.sciencemag.org/content/304/5674/1144.short). They compared the floras of taxa with wind dispersed spores on islands located around the Southern Hemisphere. One of their findings was that wind connectivity rather than geographic proximity better predicted similarities in the flora. Also I was wondering how you choose your taxon of the week? I noticed that you have a few that feature mosses, which is great by the by. Thanks for the reference, Jessica. Do you know if anyone has ever directly compared wind connectivity to age since geological separation? As for how I choose the taxon of the week: it's kind-of-sort-of random. I have a document on my computer at home with a big listing of taxa (parts of it are included in posts at Variety of Life). Every week I move a certain number of pages forward from the previous week's place in the document; whatever taxon that lands me on is the one I have to write about that week. If you look closely at the posting record, there's a general tendency for the posts to go 'plant, mollusc, arthropod, arthropod, vertebrate'. Mosses turn up fairly regularly because I have a few on record.